NPC works with investors and companies to discover, develop and de-risk investments in Canadian natural products. Check out the companies we’ve invested in so far, and read about our investment services, events and approach. BioTEPP Inc. is a Canadian biotechnology company that develops, manufactures and markets environmentally friendly natural bio-pesticides, thus reducing the use of chemical pesticides. Its first product, Virosoft™ CP4, is registered and marketed in Canada and the United States where BioTEPP is among the leading suppliers helping apple growers control codling moth. Chinova Bioworks has unlocked the natural preservation properties in mushrooms to help the food and beverage industry meet the rising demand for ‘clean label’ products. Island Water Technologies (IWT) is a wastewater technology company specializing in modular, solar powered treatment solutions. Island Water Technologies provides robust, low-complexity self-powered wastewater treatment for domestic and industrial industries. Mazza Innovation’s advanced extraction process uses the power of hot water instead of chemicals to get the valuable compounds out of plant-based materials like blueberries. Mazza is known globally for their highly effective, clean approach to extraction and has attracted major clients, investors, and most recently, an acquirer. 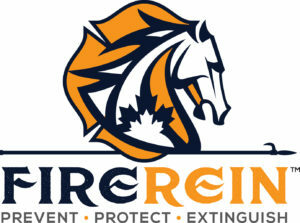 Our first investment, FireRein has developed an alternative to the traditional chemicals used to fight fires. Made from plant food-based products, you could literally eat this stuff yet it’s knocking back fires better than the competition. Consumer demand for ‘green solutions’ and ‘clean label’ is creating tremendous opportunities for businesses in natural products. But what’s it like to invest in this space? We asked the experts. "Working with NPC makes perfect sense for us"
NPC is committed to helping companies and investors realize the opportunities in natural products. Natural Products Canada (NPC) is always looking for ways to build and support up and coming companies. Our agreement with Nature’s Way is a perfect example of finding the right partners to help us in those efforts. © Copyright 2018 -2019Natural Products Canada. All rights reserved.